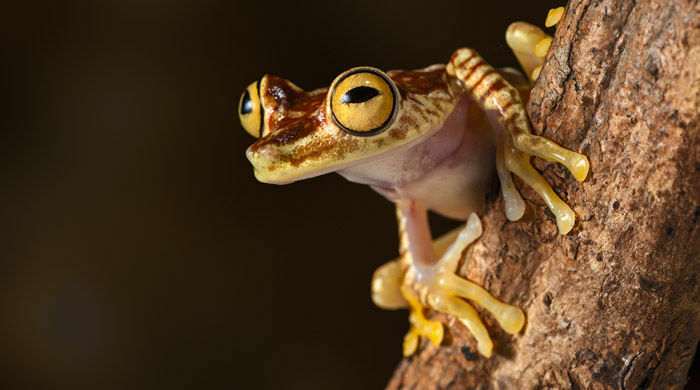 Ecuador is renowned for its wildlife, with two of the world's most important and best-known ecosystems falling within its borders - the Amazon Rainforest and the Galapagos Islands. 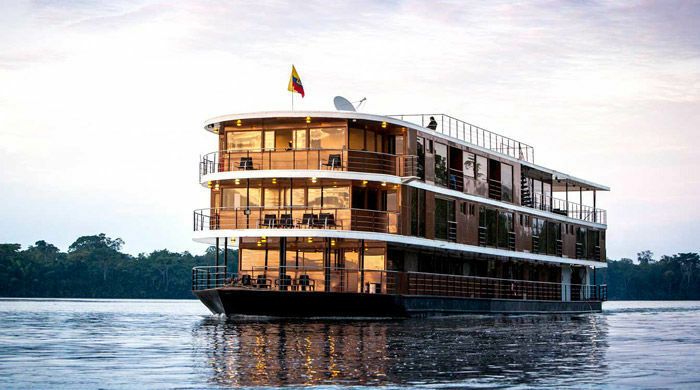 This adventure-packed holiday brings you from the historic streets of Ecuador's capital Quito into the heart of the Amazon Rainforest for a five-day cruise exploring the flora, fauna and local cultures and communities of the Napo River aboard the MV Anakonda. Next you'll fly to the Galápagos Islands, where you'll board the MV Santa Cruz II for five unforgettable days spent swimming and snorkelling in the crystal-clear waters of the Pacific. 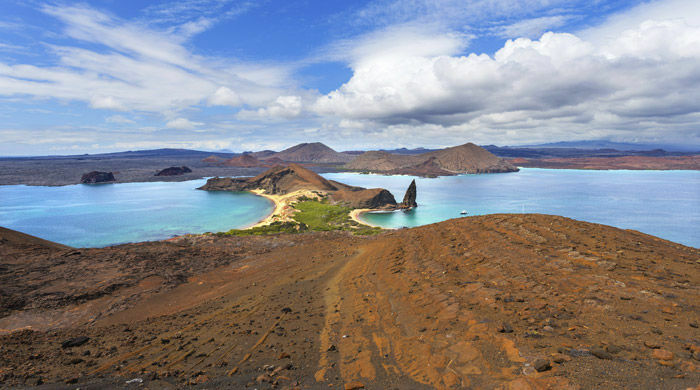 Along the way, and in the company of expert guides, you'll explore magnificent volcanic landscapes and view the seeming endless species of birds, mammals and marine life that make the Galapagos Islands a mecca for wildlife enthusiasts the world over. Begin your holiday in relaxed style as you enjoy complimentary airport lounge access before your overnight flight to Quito. 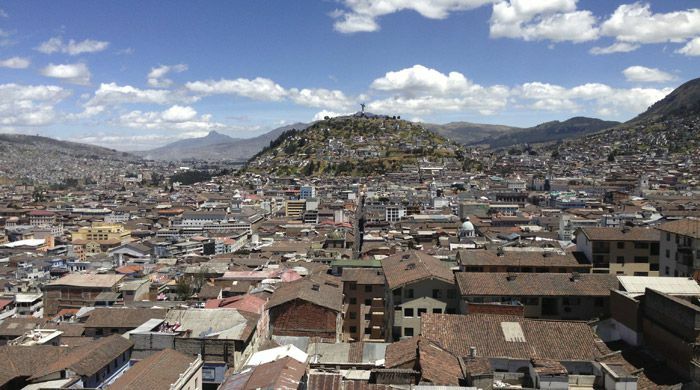 Arrive in Quito, Ecuador's historic capital set in the shadow of the Andes Mountains. On arrival at Quito's international airport, you'll be met for a private transfer to your hotel in the city's historic centre – itself a UNESCO World Heritage site. Spend the rest of the day at leisure. Spend this morning on a private tour, exploring Quito in the company of your local guide. Highlights include the World Heritage-listed old town, which is packed with historical buildings, including monasteries, museums and churches, and is regarded as the largest and best-preserved colonial quarter in South America. 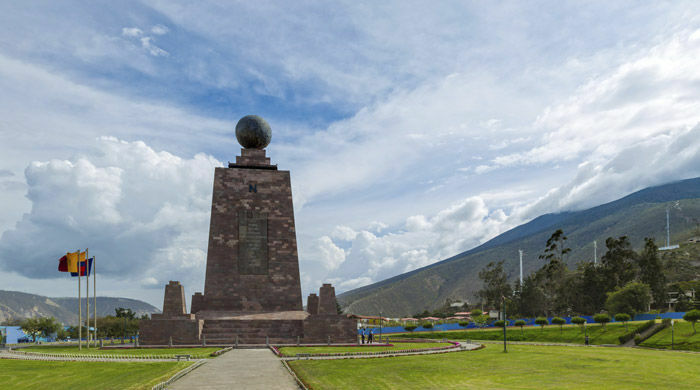 Next, you'll head out of the city, again in the company of your guide, to the Equatorial Monument, located 16 miles north of Quito, where you can stand with one foot in each hemisphere at 0º latitude. Visit the fascinating Ethnographic Museum, which is located inside the monument and charts the history of the different Native American groups living within Ecuador. Spend some time exploring the small colonial town next to the moment, where you'll find a small square, a post office, a bullring, several cafes and restaurants, and a number of gift shops selling local handicrafts and postcards. Depart Quito on a 30-minute flight to the frontier town of Coca. On arrival you'll transfer to the dock where you'll board a motorized canoe, which will take you around one hour down stream to MV Anakonda and the start of your four-night Amazon adventure along the Napo River. 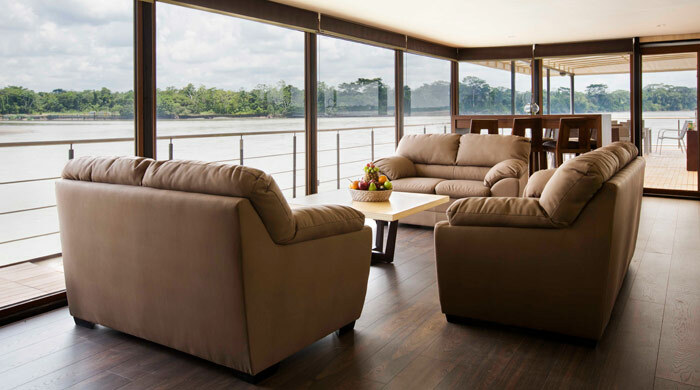 Spend some time relaxing as you begin your journey down river, exploring the many features of the cruise ship and settling in to your private cabin. Later on you'll enjoy a guided evening walk, giving you your first taste of forest at night. After breakfast on board you'll disembark for your first daytime rainforest experience, learning about the symbiotic relationship between the animals and plants of the Amazon, keeping your eyes peeled for signs of wildlife among the thick jungle foliage as you go. Then, after lunch, your cruise ship will navigate through one of the most pristine and unexplored regions of the Ecuadorian Amazon, home to pink river dolphins, black caiman and anaconda, along with several species of monkey, river turtles and the primitive Hoatzin, a bird locally known as "The Stinky Turkey". You'll explore a section of this lush jungle world by canoe, the only way to truly explore this amazing river ecosystem. Today you'll visit a local school located on the banks of the Napo River. Here you'll have the chance to interact with the children and learn about the education system in this remote jungle community. Then, in the afternoon, you'll rejoin the MV Anakonda and relax as the ship navigates upstream. 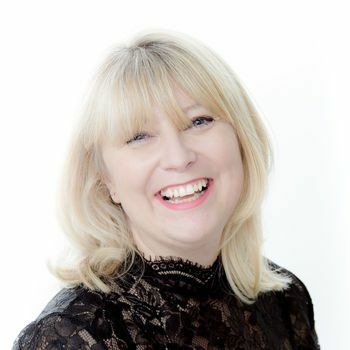 Whilst on board you'll have the chance to enjoy a lecture and documentary screening. 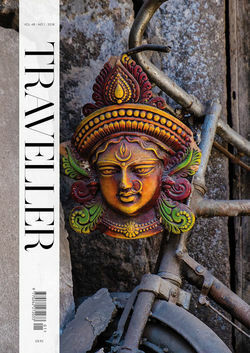 If time permits, you'll also be able to learn about and make some traditional handicrafts. 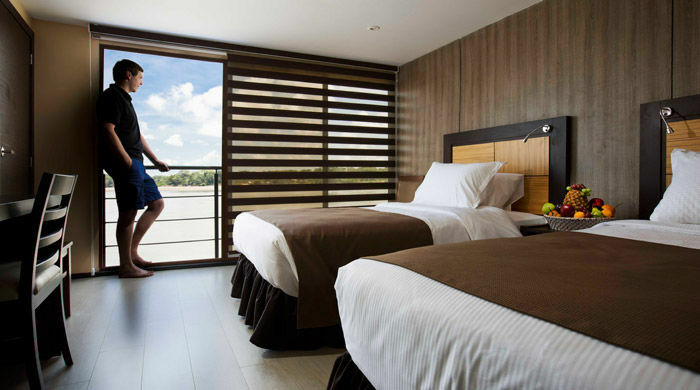 Later you'll disembark to explore one of the largest river islands in the Napo River. Visit a 100 metre-high observation tower, built against a majestic kapok tree. Climbing to the top, you'll be treated to breathtaking views of the rainforest canopy and the vast scale of the Amazon Basin. Enjoy a delicious lunch on board before heading to the Limoncocha Biological Reserve, a protected area home to 478 bird species and several species of monkey. Stay here until the evening time when you'll be able to spot black caiman with the aid of flashlight. Disembark the MV Anakonda after breakfast for motorised canoe trip to Coca, where you'll board a flight back to Quito. 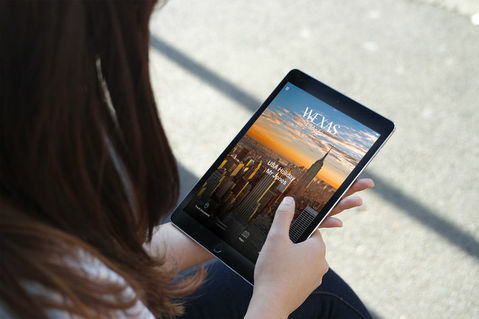 On arrival in the capital, a private transfer will see you to your hotel. Spend the rest of the day at leisure. Take a private transfer back to the airport this morning and board a flight to Baltra Island in the Galápagos where you'll board the MV Santa Cruz II. After a boat drill and lunch, you'll arrive on the north shore of Santa Cruz Island, home to a stunning white sand beach and two lagoons, which serve as feeding grounds for a number of wading birds, including flamingos and stilts. Enjoy a welcome cocktail on board, followed by dinner and a briefing of the next day's activities. After breakfast on board, you'll explore the impressive cliffs of Buccaneer Cove, home to a vast number of marine birds and mammals, including colonies of sea lions. See the incredible rock formations of "Elephant Rock" and "The Bishop" along with an impressive natural cave, which makes a great spot for snorkelling or a panga dinghy ride. 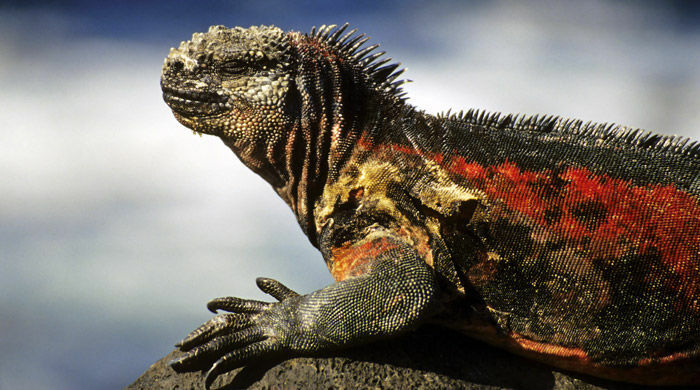 Today you'll have the chance to take a panga ride along the shores of Rabida Island, or a stroll along the red volcanic beach, where you'll see mockingbirds, yellow warblers, Darwin's finches, marine iguanas and sea lions. Disembark at the beach and enjoy a swim or snorkel in the crystal clear waters, keeping an eye out for marine turtles, sea lions and marine iguanas as well as the occasional dolphin. Later, a wet landing on Bartolomé Island – famed for its volcanic landscapes and imposing Pinnacle Rock – will see you swim, snorkel, or enjoy a glass bottom boat ride past the spectacular shoreline. The penultimate day of your cruise takes you to Genovesa, where you'll begin with a steep climb of around 90 feet to a rocky plateau from where you can observe large colonies of Nazca boobies, red footed boobies, great frigate birds and storm petrels. Those not wanting to do the climb can take a panga ride along the base of the cliffs. This afternoon you'll head to beautiful Darwin Bay to enjoy a swim and a snorkel in the clear waters off a gorgeous sandy beach. Your Ecuadorian adventure comes to an end. Spend this morning visiting the breeding programme for giant tortoises at Cerro Colorado where you'll learn about this remarkable, yet endangered species. Return to town and transfer to the airport in time for your flight to Guayaquil and onwards to the UK, arriving on day 14. A flight from Lima to Chiclayo will take you off the beaten track to the remote delights of Peru’s wild north. Start with a tour of Sipan’s Royal Tombs where adobe edifices hide mausoleums filled with gold pieces and precious stones before travelling on to Trujillo the next day.